There were no injuries. The plane itself sustained minor damage. TYLER, Texas — A plane was forced to make an emergency landing Monday afternoon at Tyler Pounds Regional Airport after a malfunction with the plane's landing gear. 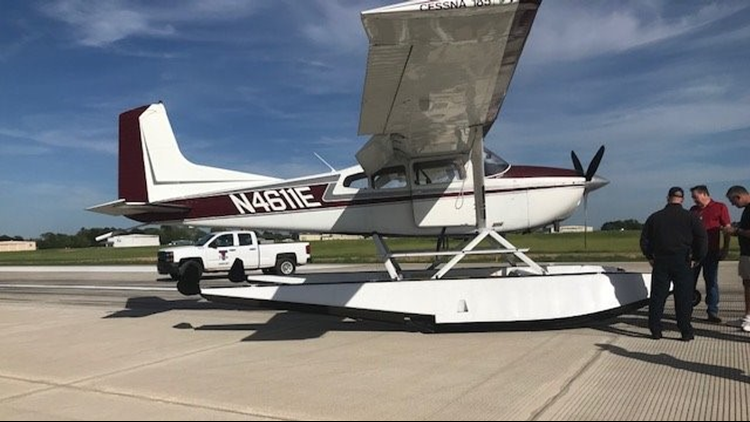 According to city spokeswoman Jenny Wells, the Cessna 185 plane with two people on board was having trouble getting its landing gear down as it was going in for landing. The plane landed on Runway 4-22. Wells says the plane skid for about 100 feet when it touched down. The airport has shut down Runaway 4-22 for 12 hours as crews work to remove the plane from the runway. Wells said despite the closure of the runway, no air traffic is affected.